SEAFORD, Long Island (WABC) -- Charges have been filed in a single-car accident on Long Island that left two people critically hurt. 19-year-old Leanne Gilzeane is charged with reckless endangerment. Police say she began hitting the driver from the back seat during a fight early Monday morning. 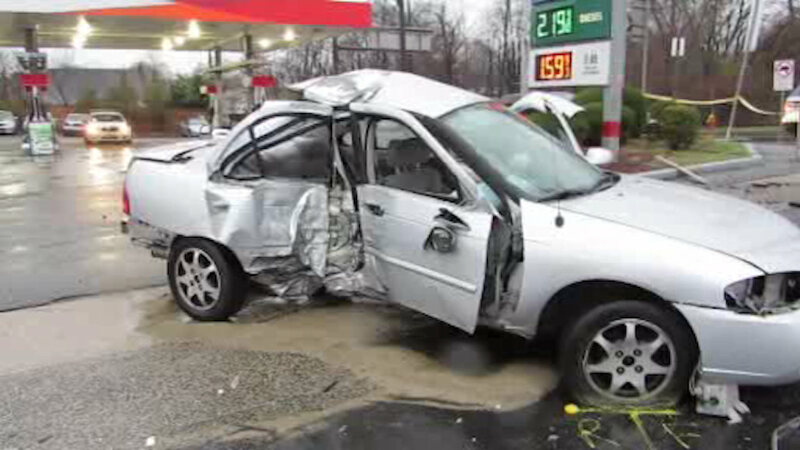 The driver lost control on Sunrise Highway in Seaford and crashed into a utility pole.